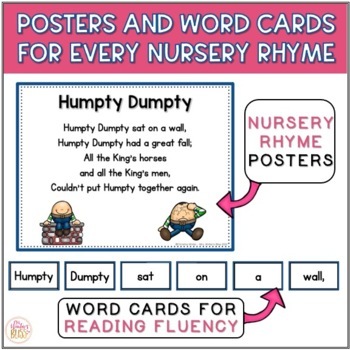 My students love to build these Nursery Rhymes at our poetry center over and over! 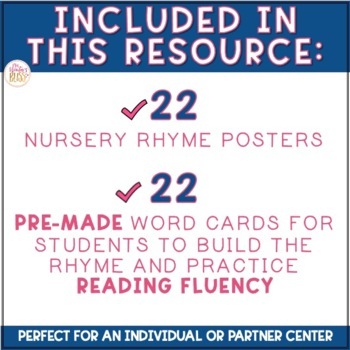 Your students can work alone or with a partner to build familiar nursery rhymes and practice reading fluency. 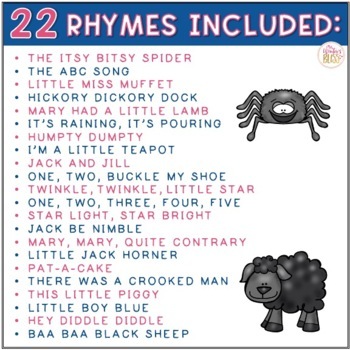 There are 22 nursery rhymes for you to print, laminate, and cut for immediate use year after year. Your students will be highly engaged in a meaningful literacy task and you will never have papers to copy or grade! 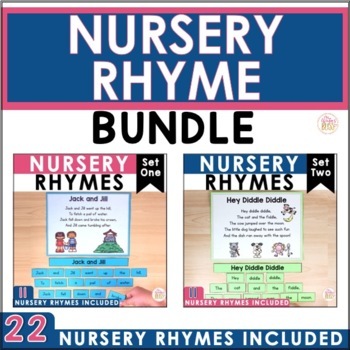 ****You save 20% by purchasing THIS BUNDLE! Download my preview and try this product for free!